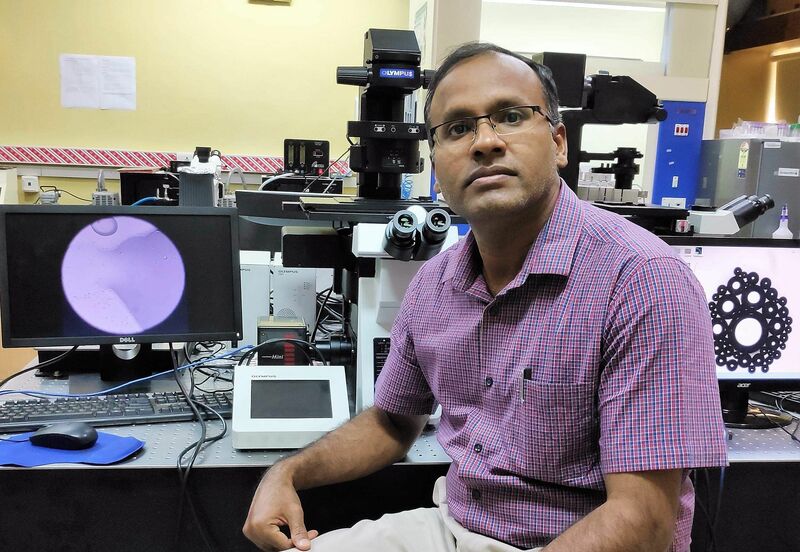 An Indian Institute of Technology Madras Professor has been chosen for the prestigious ‘Swarnajayanti Fellowship’ given by Department of Science and Technology, Government of India, to young scientists with a track record of excellence. They are provided special assistance and support to enable them to pursue research in frontier areas of science and technology. Dr. Ashis Kumar Sen, Associate Professor, Department of Mechanical Engineering, IIT Madras, is one among the three faculties to receive this fellowship award in Engineering Sciences discipline from the entire country for 2017-18. He is working on understanding novel interfacial phenomena at the microscale and utilizing the same to develop healthcare technology for early prediction of sepsis and improved prognosis/therapy for cancer. His team is also developing a ‘lab-on-chip’ device for early and rapid diagnosis of dengue antigen in blood. His main research interests are in the areas of microfluidics-based interfacial phenomena and healthcare diagnostics. In collaboration with Dr. Thangaraj Paul Ramesh, Senior Consultant Cardiothoracic and Transplant Surgeon, Apollo Hospitals, Chennai, Dr. Ashis Kumar Sen and his team are developing a microfluidic platform for detection of gasotransmitters as biomarkers for early prediction of sepsis. After joining IIT Madras, where he has been a faculty member since 2010, he has secured more than USD 1 Million of research funding from various agencies to establish a Microfluidics Research Facility to carry out cutting-edge research. He has published nearly 70 research papers in prestigious international journals and filed 7 patents. .He has guided eight Ph.D./M.S. scholars so far and is currently guiding 12 PhD/MS scholars. Their research is primarily focused on the investigation of novel phenomena involving manipulation of fluid interfaces and particles in microfluidics. 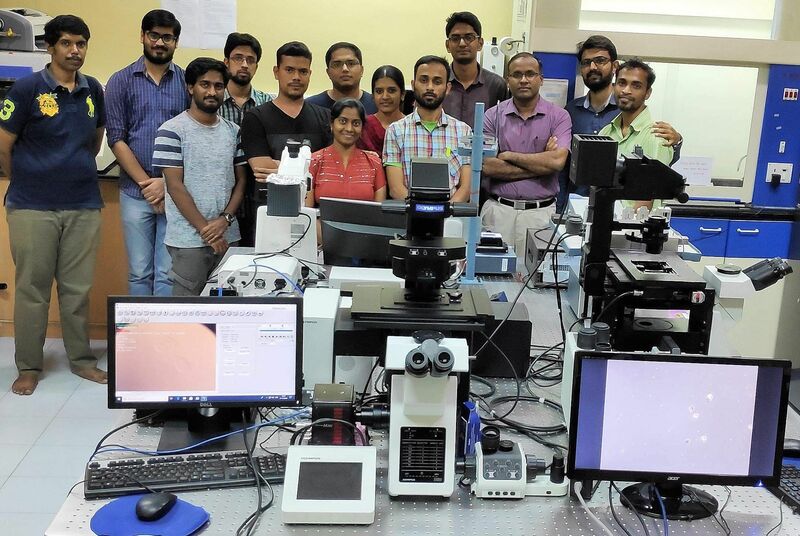 One of the unique features of the research is that Dr. Ashis Kumar Sens’ team has successfully employed fundamental understanding in the above areas in developing microfluidics-based healthcare technology for various applications. ‘The Swarnajayanti Fellowships’ was instituted by the Government of India to commemorate India's Fiftieth Year of Independence. The support provided under this scheme will cover all the requirements for performing research and will include a fellowship of Rs. 25,000/- per month for five years. Scientists selected for the award will be allowed to pursue unfettered research with freedom and flexibility in terms of expenditure as approved in the research plan. The project should contain innovative research idea and it should have the potential of making an impact on R&D in the discipline.